one happy little crafter: 'Tis the end of a lovely day! Hi all, hope you are all fine, well and have had a good day. Have been stupidly busy at work this week prepping for our big stock take at the weekend, but still had a smashing day today. It is my wonderful daughter, Megan's 16th birthday.....don't know how that can be, it only feels like weeks ago since I came home from hospital with this precious little lady that changed our lives so much! This is part of the card that I'd made for Cameron to give his big sis - she would've been 3yrs, and that is not a happy face!!! Also, found that I'd had a bit of a challenge win, woohoo - thank you to the lovely folks at Holly Jolly Christmas challenge. 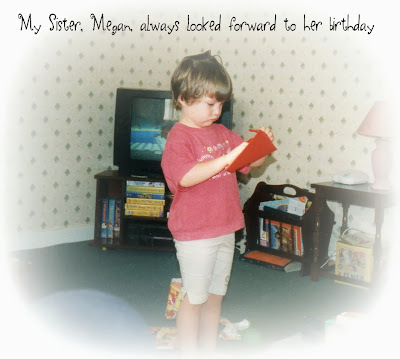 Happy Birthday to Megan, I hope she has had a wonderful day. I love the look on her face in that photo. I must admit that I too like looking at spiders webs and I actually quite like spiders too - as long as they are not too big! Well done on your challenge win! 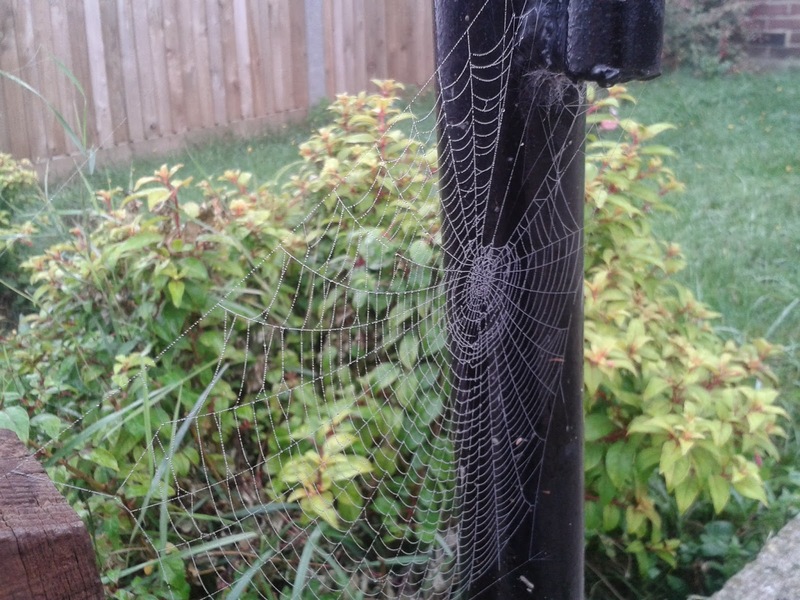 Aren't those webs incredible, we have found a few recently and quite large too, Congratulations on your win.